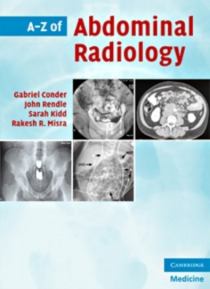 A-Z of Abdominal Radiology provides a concise, easily accessible radiological guide to the imaging of the common disorders of the abdomen and pelvis. Organised by A-Z, each entry gives easy access to the key clinical features of the condition. Section 1 reviews the relevant radiological anatomy of the abdomen and pelvis. This is followed by over 80 abdominal disorders, listing characteristics, cli… nical features, radiological features and relevant clinical management. Each disorder is highly illustrated to aid diagnosis. A-Z of Abdominal Radiology is an invaluable quick reference for the busy clinician and aide memoir for exam revision in both medicine and radiology.